One of the biggest shocks was how cold it was. Don’t get me wrong—we were happy to leave the sweltering heat of North Carolina for a few days, but we were not prepared for temperatures that dropped into the 30s. Especially since the houses we stayed in were not heated. But we were in South Africa, and it’s winter there. I checked one Sunday morning and it was 39 degrees inside the church. I told the folks it was the coldest church, with the warmest hearts, that I had ever seen. Eight of us traveled to Cape Town, perhaps the most beautiful city in the world, for twelve days in July. We went primarily to spend time with two ministries that Antioch supports. The first is called East Mountain, and Mark and Marcie Harris serve there with their two children. East Mountain exists to develop Christian leaders for global missional service, and we had the opportunity to help. Cindy spoke to a gathering of missionary wives, and I, along with two other men, spoke to a group of pastors, missionaries, and ministry leaders. The young people helped put on a soccer tournament in the nearby village, and shared their faith in Christ in between matches. 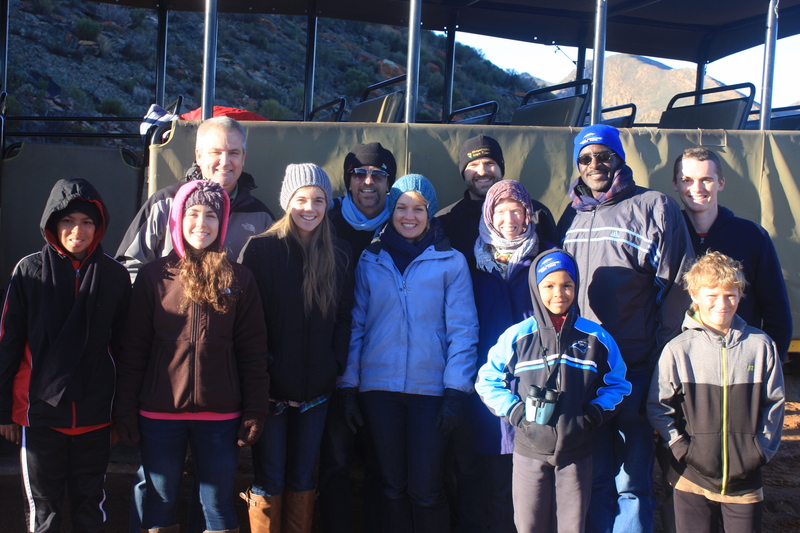 East Mountain is a multi-ethnic ministry, where blacks, whites and coloreds in Cape Town work and serve the Lord together. It reminded me “where the Spirit of the Lord is, there is freedom.” Racial barriers are man-made and from a different spirit. Imagine a township (we would call it a slum) where one million people live, and more than 50% of them don’t have jobs, and more than 70% of the homes don’t have fathers living there. In that environment twenty years ago, “Learn to Earn” was founded. With their motto, “A hand up, not a hand out,” Roche van Wyk and his staff give people an opportunity to learn a marketable skill so they can provide for themselves. Thousands have been through the program and have learned sewing, graphic design, baking, culinary arts, business administration, or cabinetry. They even provide training for those who want to be baristas, and open their own shop. We got to sample their coffee drinks and enjoy a delicious lunch prepared by a former student. An added blessing to this trip was that it was the first time my wife was able to join me on the continent I have been talking about since my first of many visits in 1999. Since then I have taken each of my children to somewhere in Africa, and this was Susanna’s turn. Why go on short-term mission trips with your children? It helps make them world Christians, broadening their vision of what God is doing. It opens their hearts to pray. It opens their pocketbooks to give. We go as often as we can, and we do so as much to be changed as to change others. No matter how cold it is. You can hear and see more about this trip on August 30 at 10:00am at Antioch Community Church, 1600 Power Line Rd. in Elon, NC.